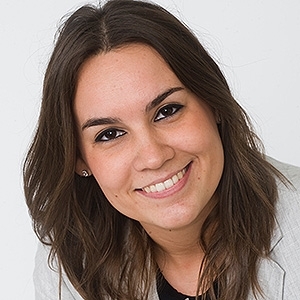 Nadia Pons holds a biology degree from the Barcelona Autonomous University (UAB), specialized in Microbiology. Later on, she obtained a Master degree with specific studies in the virology’s field. She has had experience in different laboratories within the private and public areas, performing diagnostic, research and collaboration with different centres. Besides the scientific background, Nadia is specialized in developing business from technology and Intellectual Property. From 2014 she is part of the knowledge and technology transfer department at ICN2 where she evaluates, protects, and promotes ICN2 knowledge and technology, in order to guide a successful entry to market. To do so, negotiation, licencing out or spin-off creation are her main tasks. She has managed more than 30 nanotechnology-related projects and she has led the creation of 3 spin-offs in the fields of energy, medical devices and biotechnology industry. During the last year she’s been involved in the ICN2's strategy development, with a business approach. She also has a strong commitment with science dissemination, participating in several brokerage events, networking events and specialized articles.